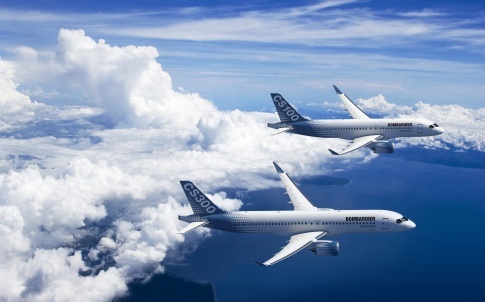 The decision by the US Department of Commerce to impose a 220 per cent import tariff on Bombardier C Series jets could put thousands of UK jobs at risk and harm manufacturing in the UK. The controversial tax ruling is the result of a long-running dispute between Bombardier and Boeing, which has claimed that unfair state subsidies from the UK and Canada had helped Bombardier win a major deal to supply up to 125 of the jets to US airline Delta. The largest private sector manufacturer in Northern Ireland, Bombardier employs more than 4,000 people at its Belfast plants, around 1,000 of whom are linked directly to the C-Series project. Unite, the UK’s biggest union, warned that the decision could place thousands of jobs at risk and even threaten the Belfast site’s very existence. It added that the move could affect an even greater number of jobs in the supply chain that serves the company. In a statement on its website, Bombardier called on the US government to abandon the proposal, describing it as “absurd” and “divorced from reality”. In response Boeing, which claims to support more than 18,700 jobs in the UK, welcomed the proposal. “Subsidies enabled Bombardier to dump its product into the US market, harming aerospace workers in the United States and throughout Boeing’s global supply chain,” it claimed. Meanwhile, in a series of tweets from her official account, UK Prime Minister Theresa May who had personally lobbied Trump to intervene in the dispute, said that she was “bitterly disappointed” by the decision and pledged to work with Bombardier to protect jobs. A final ruling will be made on the decision in February. So this is what it means to be first in line on a US trade deal? Historically if a British built plane crashes, the US want them all grounded. If a Boeing crashes, it must be the pilots not the plane. Don’t worry – after Brexit, when we are negotiating our own Trade deals outside of the “protective” wing of the EU, the US are absolutely going to bend over backwards to work with the UK. Oops – should have mentioned, have you seen the cover to Pink Floyd’s “Animals” album? Most aerospace companies in the US have had a money from the government if military research is being carried out, a lot of which can be used in civil research and manufacture. Boeing is one of the major beneficiaries of this, what in effect, is a subsidy. It seems that some rules are more flexible than others!! UK Prime Minister Theresa May , said that she was “bitterly disappointed” . This doesn’t surprise me at all after all the shenanigans between Boeing and Airbus over the years. Bombardier should have known better. What happened to the special relationship? But shouldn’t the sanctions be aimed at China who ceratainly are not competing with the west on a level playing field and flooding our countries with products produced by extremely low waged workers who have and little self determination of where they work and what hours and conditions they have to work under. But what is happening instead. Our highly immoral multi-national companies have rushed to China to exploit this low wages and unfettered working conditions. Having worked there in the 60s, having had dozens of clients all over the USA for many subsequent decades (all of course in ‘my’ CSS- textiles though you would be surprised how broad a Church that can be) let me give our leaders some simple advice. “If you are not with me, you must be against me” -is the central philosophy of the US administration. If you do not ‘get’ what I am saying…its your fault for not understanding, not mine for not explaining it properly. If ten of anything is good, 11 is better. Foreign news in the Philadelphia Enquirer was “what was happening in Pittsburgh!” If it wasn’t so frightening (in view of ‘their’ foreign policy antics and errors which our own Government appears to wish to mimic even when it knows better) it might be funny. I am reminded of Harold Wilson’s comment when asked by the US to send UK troops to Vietnam in the mid 60s: “I will not be sending even the Dagenham Girl Pipers”. Am I the only person, yet again, who has appreciated the real problem. The shear unadulterated greed of the entire retail consortium? [That is those who but stuff, not to use but to sell?] They wish the European (and US) population to be their customers, but not -as ordinary workers -their suppliers. Let’s be clear: I speak of textiles, but am sure the same applies to other industries. A buyer for a major retail chain is going to enjoy personally a trip (on a Cathay Pacific jet!) to Bangkok than taking the train to Bradford: even though at the start of this farcical degradation of our manufacturing, the same machinery was in place and the same skills and abilities present in both places. What is the point of placing a man/woman/family into work in one country at the expense of the loss of the same in ‘ours’? Please don’t get me on driving-up-efficiency either: its too late when there is no more work! making profit from staff and suppliers, rather than from customers, i9s the recipe for commercial disaster and I believe we are very close to that now?